Georgios Mouskoundi, Head of Advisory, introduces our investment update for October. The document contains an overview of our views on the various asset classes, as well as a range of high conviction investment ideas in equities and fixed income. September – and the entire quarter for that matter – saw the US bull market reach unprecedented heights. US stocks posted a 7.2 per cent gain for the three-month period, the strongest quarter since 2013. The booming economy accompanied with strong consumer confidence and the lowest level of jobless claims since 1969 have delivered attractive returns, far outpacing global markets. 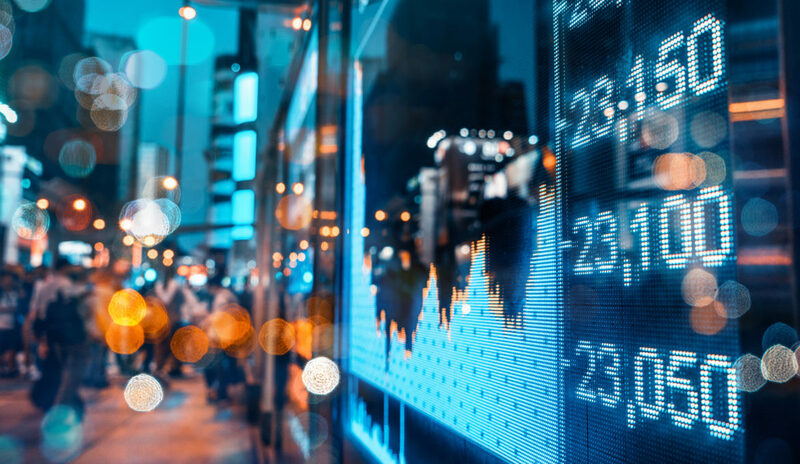 In other markets, the month was dominated by news about the US/China trade wars, political developmets in Turkey and Italy and, of course, the latest on the ongoing Brexit negotiations. The last topic notwithstanding, the FTSE100 was up over 1 per cent in the month. The gradually increasing US interest rates and dollar strength further fuelled headwinds in emerging markets. With regards to investments, fixed income returns have been lacklustre, with high yield credit outperforming government bonds. Against this backdrop we see little upside and remain negative on government rates. Strong growth data has pushed the US 10-year yield above 3 per cent and policy and inflationary expectations remain unchanged. Higher rates have weighed on investment grade returns year-to-date across the developed world. As such, we maintain our short duration and our overweight to high-yield has proved a positive in recent months, owing to tighter spreads and higher carry. For equities, we remain positive and although we still see further upside for the US, we are highlighting a relative play towards Europe. With the US year-to-date outperforming the European stock market by 11 per cent, Europe provides good upside with attractive valuations and accommodative macro environment. Looking ahead, a great deal of newsflow has been factored in. Near term, the potential for a further escalation in trade tariffs emanating from the US, and the subsequent retaliation is the most likely area of concern. It is difficult to see any winners from this. A trade war will inevitably impact all regions and observers have indicated that even up to 1 per cent of global GDP could be lost through this alone. Trading partners may benefit as they look to do trade elsewhere and Chinese exporters could gain market share at the expense of their US rivals. Furthermore, as we enter Q4, a tightening US monetary policy was always going to be seen as the likely candidate to spoil the extended bull market. After all, the US is in the latter stages of the business cycle, and no recovery lasts forever. However, the equity market’s more sanguine reaction to current policy signals, including the anticipated rate rise in December, suggest there may be further upside in the short term. In the context of this background we remain constructive in the short term towards risky assets. With an accommodating outlook for global growth, albeit higher inflation, there is comfort from tight labour markets and healthy consumer spending around the world. Investors should be cognizant of the narrowing of the desynchronisation of global growth with the US, the potential impact of tariffs on corporate earnings, not to mention the US earnings season, as well as the US mid-term elections over the coming months which will further guide the markets as we start looking towards 2019.